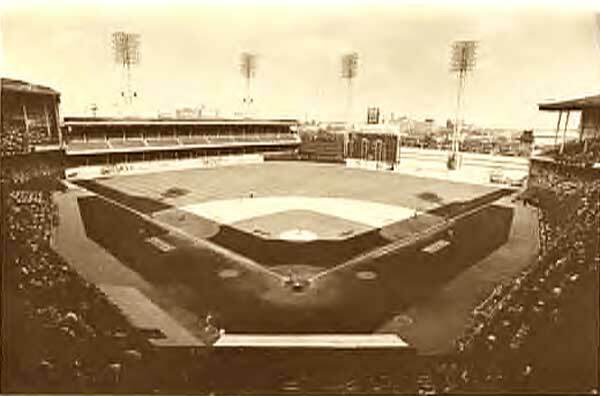 Shribe Park hosted the first night game in American League history. On May 16, 1939, the Indians scored two in the eighth inning to tie the game and then put five on the board in the 10th as they defeated the Athletics, 8-3. The Cincinnati Red Stockings were the original baseball team that can be traced to the modern-day Cincinnati Reds. It is reported that those Red Stockings became the first fully professional team after playing the first professional baseball game. On May 16, 1869, Cincinnati won, 41-7, as a part of the National Association of Base Ball Players. Then in 1939 at Shibe Park, the Philadelphia Athletics hosted the Cleveland Indians in the first night game in American League history. The Athletics became just the third team in MLB history to play home games at night after the Reds did so in 1935 and the Brooklyn Dodgers came around in 1938.